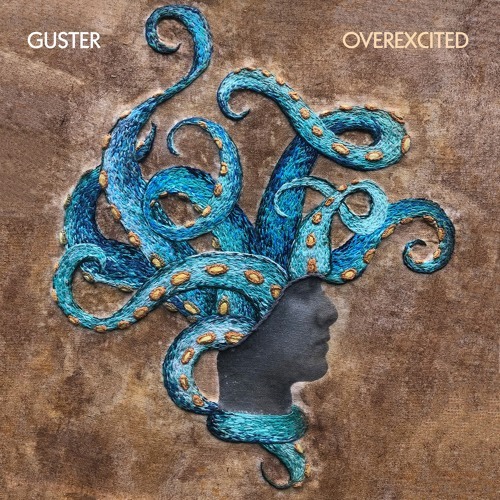 "Overexcited" is from Guster's new album, Look Alive, out now on Nettwerk Music Group & Ocho Mule Records. Order Look Alive on CD, Vinyl, or Deluxe Clear Vinyl: http://www.gustermerch.com Listen to Look Alive on: Apple Music: smarturl.it/GusterLookAlive/applemusic Spotify: smarturl.it/GusterLookAlive/spotify Google Play: smarturl.it/GusterLookAlive/googleplay Amazon: smarturl.it/GusterLookAlive/az Pandora: smarturl.it/GusterLookAlive/pandora Guster is on tour now. Find a show near you: http://guster.com/#tour Follow Guster Around the Web: Spotify - http://bit.ly/GusterOnSpotify Apple - http://bit.ly/GusterOnApple Facebook - http://www.facebook.com/Gustermusic Twitter - https://twitter.com/guster Instagram - http://www.instagram.com/guster Web - http://www.guster.com Store - http://www.gustermerch.com Lyrics: I’m halfway home, at the pub on the corner of the street I see kids from school, but I stare down at my feet Sports on TV They scream for victory A few blocks down, there’s Dawn, she’s got spinach on her teeth In between the front ones, just a little bitty leaf And I tried to speak, but Dawn makes me nervous And I get overexcited Can’t do a damn thing about it My God we’re shoulder to shoulder Nice guy looking for a future lover The pet shop’s closed, too bad, cause animals like me back We had a dog once, we all just called her cat Was mum’s idea She’s got a great sense of humor Later tonight, some soup, then I’ll probably send a text Hey Dawn it’s Jim, would you like to have some s** And if that’s too weird, maybe just a hot chocolate I get so overexcited Can’t do a damn thing about it My God we’re shoulder to shoulder Nice guy looking for a future lover Hey, hey, hey And I get overexcited Can’t do a damn thing about it My God we’re shoulder to shoulder Nice guy looking for a future lover It’s quite a catch 22, isn’t it In order to meet people you need to have confidence But in order to have confidence you need to have friends So how does one even take the first step? Hey Dawn, it’s a great party yeah? Listen, I was wondering… yeah, no it’s not Jon it’s Jim Oh yeah, no of course… I’ve got a boyfriend too Maybe another time Send my best to your mum as well It was great to see you Dawn, have a good night Aw f***, s***, oh my God. ‘Cause I’m bored, bored, bored Everyone knows it’s hard living with mother If you can even call this living Here’s the ride cymbal Nothing makes a man feel more alive than with the tang of the hump of the ride Tang of hump Everyone knows it’s humpin’ living on ride cymbals If you can even call that drumming 'Cause I'm bored, bored, bored Everyone knows it's hard, living with mother If you could even call this living I suppose there's no point in whinging about it. I'm just as God made me. I just try and tell myself, Every day's a miracle, Wo don't say goodbye, but say hello! I absolutely love how the music sounds here! And the base. love the bari sax here!